How the hell do you get there? And yeah it's not on the map. We were definitely not in Kansas anymore, definitely not close to any signal and definitely lost. With a lot of guessing and wandering we finally made it to the oldest (still standing) pool in Iceland! 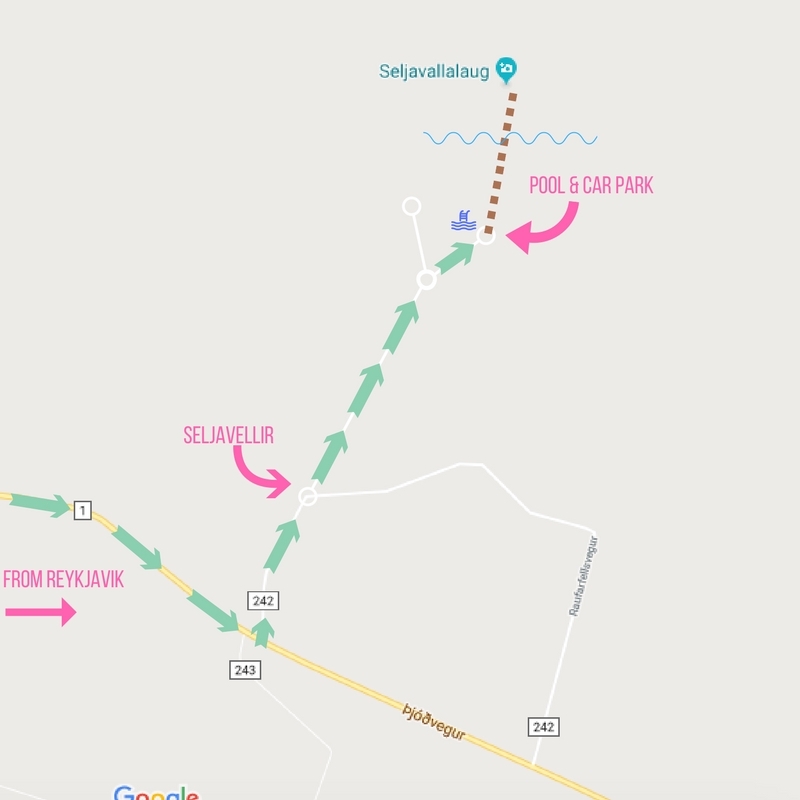 Seljavallalaug is one of Iceland’s best kept secrets, built in 1923. 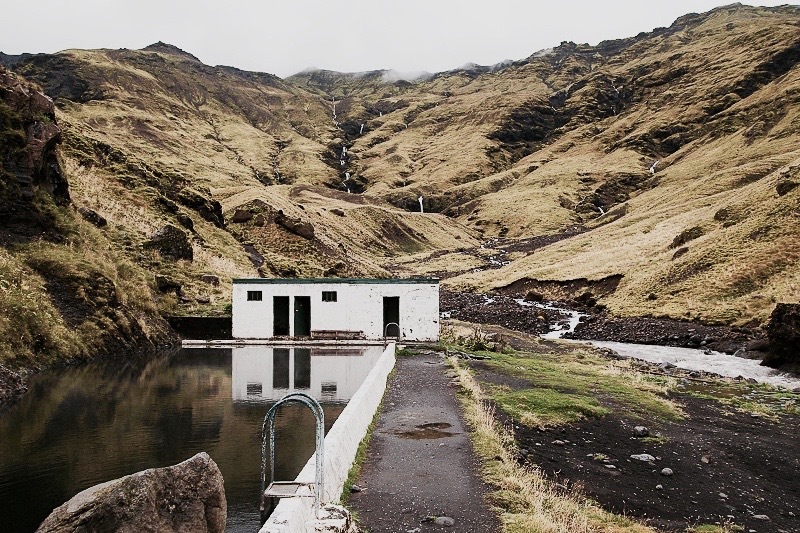 It's filled with hot spring water that trickles down from Eyjafjallajökull so you can take a dip all year round! Fast forward to dinner that night with our Icelandic family, who told us that back in their hayday they'd head down to Seljavallalaug to crack a few beers and flirt with the boys. Highschool hangouts in Iceland sound like fun, I used to go to the mall's foodcourt if I wanted to flirt with a boy. 4. Park at this pool! This is the "car park"
7. Most Important: If you think you’re going the wrong way you aren’t keep walking!